This week we had another nor’easter storm blow through. We didn’t get any of the snow that was forecasted but the winds packed a punch. Our local church didn’t make it through the storm unscathed. When we got the call regarding the wind damage I was praying (see what I did there) that it wasn’t the siding we had installed last spring. And it wasn’t. 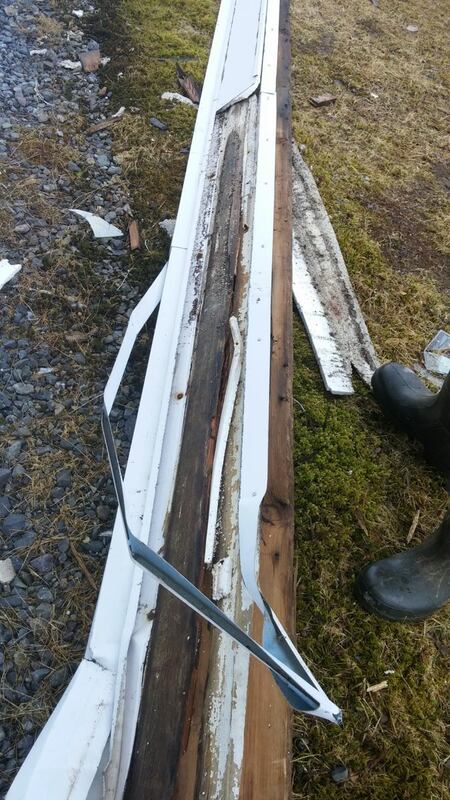 As it turns out a 16 foot section of fascia, header and soffit ripped from the church and came crashing to the ground. If you look more closely at the first picture, you can see that on its way to the ground, it took out several panes of window. Three in total. Thankfully they weren’t the stained glass ones but still. One pane is rectangle shaped but the other two aren’t. 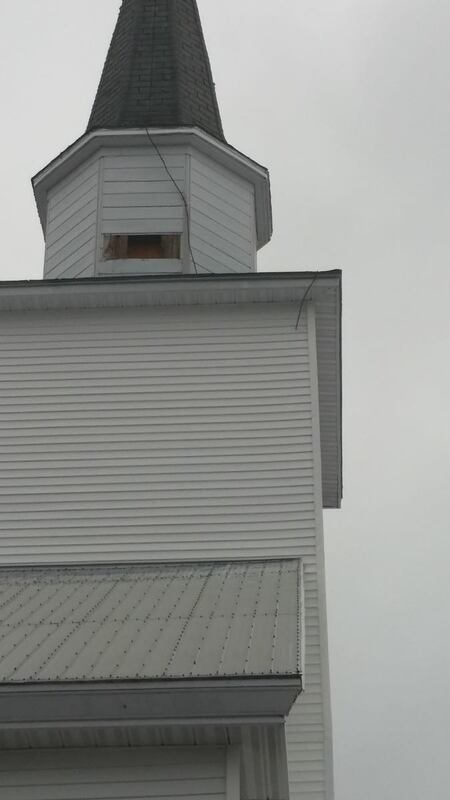 Also on the other side of the church, a panel disappeared from the steeple. 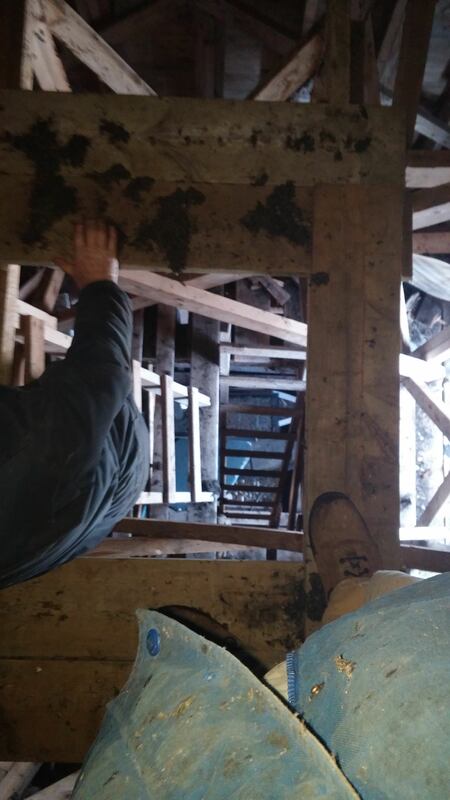 Jim and Russell went to take a closer look later in the day and ended up making their way up into the steeple from inside. Yikes. Jim took this picture from the top (inside) looking down. Not for the faint of heart, of which I am apparently one of. Look how close his foot is to the edge! 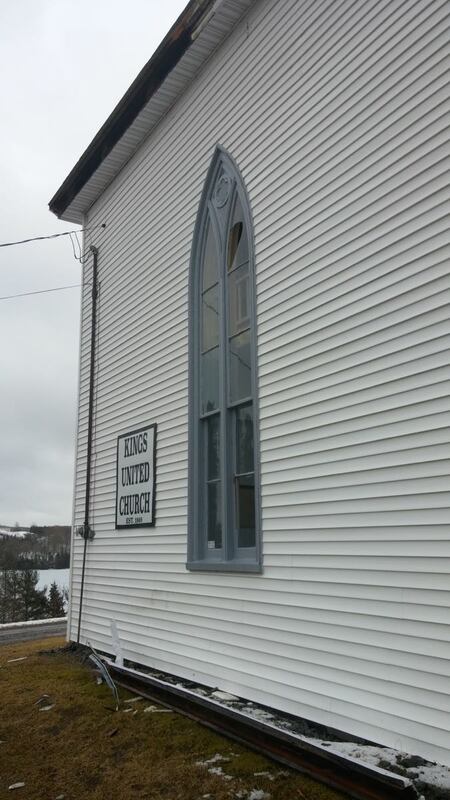 Apparently the church held on to old windows from back in the day, and they may just come in handy. 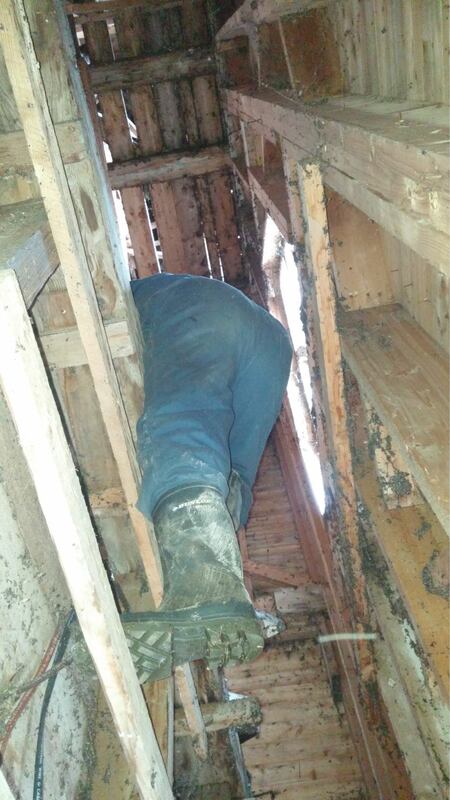 Jim brought one home and started working on removing the panes. This is another piece Jim brought home. See that larger triangle shaped pane, yeah, that is one that needs to be replaced also. Jim used the heat gun to soften the putty holding the glass in and managed to get this piece out. Next up is this pane. There were a couple of hairline cracks in this portion before Jim got started. We will use this piece though to make a template and have a new one cut.